Well heeeelllllloooooooo there! Long time no speak! I'm pretty sure that my lack of posting is now a defining characteristic of my blog so yaayy... go me and my failures! 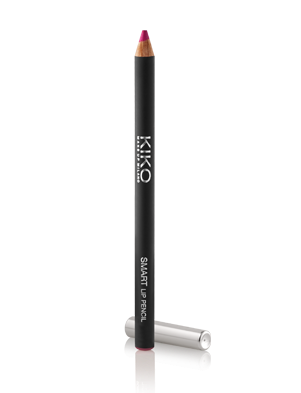 1:Kiko Lip Pencil £2.50 - I bought this recently because, well honestly I bought it because I wanted the NARS matt lip pencil but didn't want to spend so much money- this was the nearest I got to the shade I had wanted. I pretty much wear this every day; I love the shade, I love how easy it is to put on, and I love how smooth the texture is... and it's cheap, WINNING! 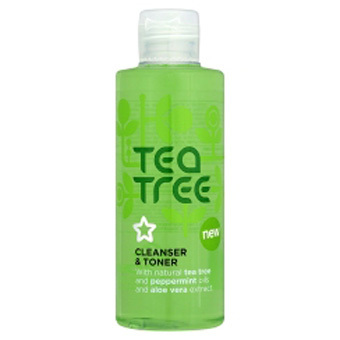 2: Tea Tree Facial Cleanser/Toner £2.99- I never used to cleanse because I didn't actually know what cleansing was (why do I embarrass myself like this), but then my best friend told me that it's really good for your skin and I should start doing it so I did. I've always been a fan of tea tree so this seemed like the best option. It's so good, it removes all traces of make-up and dirt from my face (believe me, that cotton bud does not end the same colour as it began). My skin has improved a lot since using it, it looks fresher; I mean I don't necessarily sparkle in the sunlight like Edward Cullen, but it's made a good difference. 4: L'Oreal Telescopic Mascara £10.99- This mascara have an unbreakable friendship. It's reliable, never letting me and my eyelashes down, never flaking(PUN ALERT!)... But seriously, this is in my top 5 mascara lists which I may as well make a post on actually. 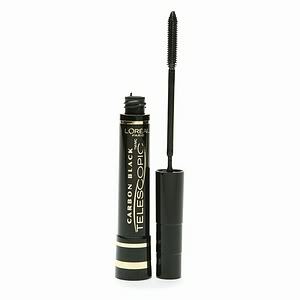 My lashes are curly and not as long as I would like them to be but this mascara actually adds impressive length to them. Doesn't clump, doesn't dry, and it separates the lashes as well as adding length. 5: Sleek Limited 2012 Edition Honour Blush- £4.29- I've never really been into powder blushes because I've never found a shade I thought looked natural on my complexion(didn't look that far though), and I was sceptical about the coverage. I frickin love this blush! Seriously. I've stocked up on this baby, so has my mum actually because we thought it was only going to be around for the olympics... they lied, it's still here. The shade suits my skin tone, and makes me look naturally flushed and glowy. I love the pigmentation, it's strong yet natural; this is my go to guy whenever I go out. One more for luck? Yeh, I have to mention this because I love it so. 6. Sleek Limited Edition Matte Lipstick in Cranberry (came as a set for £9.99)- I don't usually wear bold lip colours unless it's Ruby Woo... I don't know why, I just hadn't found the right shade, or a shade I was brave enough to wear. I had however been looking for a matte dark red lipstick; I had found some that were the perfect shade but too shiny- Revlon Super Lustrous Lipstick in Black Cherry- or, they were unflattering... This lipstick was part of a 3 piece limited edition set, which came with a thick lip pencil, and a blush (which I use them all), and came in a beautiful cranberry shade. The texture is perfect, matte, but not too dry, I really do like the colour too, it's dark but not menacing, and if I want it darker I can just blend it with a darker lip pencil. It's definitely worth a try, it's really cheap but soooo good!! I only discovered it in the last year but I love the brand! It's such good value for money! Please do, they smell AH-MAZING!!! Aww... you should try and order online if the shipping is cheap enough... yeh I love L'Oreal too, very nice products! wow this is such lovely review :) would you like to follow each other? great post! would you like to follow each other in gfc? let me know! It's such a lovely fragrance isn't it?! 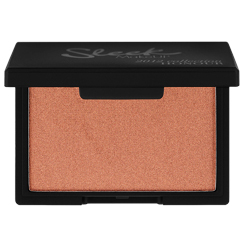 I love sleek blushes -They're soooo much cheaper than NARS and just as good in my opinion. I KNOW RIGHT!! Nars is friggin expensive and there's a bunch of other brands that are just as good yet cheaper... eg: sleek.. love it! They are definitely worth it, the quality is so good, and not just for the price! i've only known about Sleek for like a week and i need to get my hands on some of their products!! Yaaayyy perfume twins!! It's so lovely isn't it!! 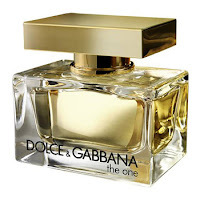 I think I'll keep on buying this perfume until they stop making it.. which I hope is NEVER!! Really enjoyed this post! I actually really love that perfume! I took it with me on my trip to Europe and now whenever I smell it I just really associate it with my trip and all of the memories :) Just one sniff sends me back! Really enjoying your blog, now following you :) Look forward to reading lots more from you! wish we had sleek over here! I just tried ot find out if they ship to many places overseas on their site for you but I couldn't seem to find any info..naughty sleek! I got some Kiko products in a swap, and though I haven't tried their pencils their lipsticks and nail polish are absolutely amazing for their low price! Thanks for stopping by and commenting on my blog! Following you, hope you do so too! I really love Sleek blush, it has such a nice warm color!! Thank you for your comment!!! :) Happy Tuesday!! I use the male version of the one by Dolce and Gabbana, it's gorgeous!